Does the thought of missing an exam or arriving to work late make you shudder? There’s almost nothing worse than being tardy – except when you’re behind because you spent an hour circling one full parking lot after another. Avoid the repercussions of tardiness – like the evil eye from your professor when you try to sneak into class – by taking advantage of Tallahassee’s top-notch public transportation systems, StarMetro and FSU’s Seminole Express. Students, faculty and staff ride for free with valid FSU, FAMU or TCC ID. So, hop aboard and put your transportation worries behind you! With over 20 routes conveniently peppered throughout the city, getting around Tallahassee has never been easier! To best serve the area, StarMetro offers routes throughout major areas like Tennessee Street, Tallahassee Community College, Steele Plaza, Tallahassee Memorial Hospital, Village Commons, Parkway Center, and Capital Regional Medical Center. StarMetro also offers a variety of services, including a dual ride service for seniors and disabled citizens and the Guaranteed Ride Home Program, which offers commuters that travel three or more days a week a free taxi ride home if an emergency arises. You’ll never have to wonder where your ride is with StarMetro’s online bus tracking system, TransLoc Rider – allowing you to see in real-time where your bus is, all from the palm of your hand. Looking for an easy way to get from your FSU apartment to campus? The off-campus Seminole Express shuttle runs on six different routes, including Garnet, Tomahawk, Osceola, Heritage, Innovation and Gold. 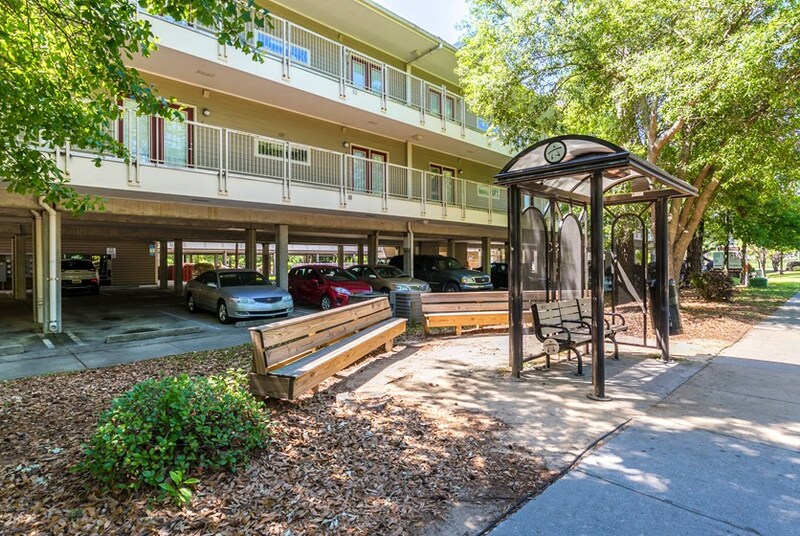 The Seminole Express serves a wide-variety of Tallahassee apartments near FSU, including The Social Tallahassee, Star Suites and Forum at Tallahassee. You can track your bus's location through the myFSUmobile app or online here. If you’re living in a dorm or need a lift from one part of campus to another, then the on-campus Seminole Express shuttle is for you. The on-campus shuttle runs on four different routes, including the Renegade, Garnet, Gold and Heritage. The Seminole Express operates Monday through Friday, making its rounds from 7:00 am to 5:00 pm in the summer and from 7:00 am to 8:00 pm in the fall and spring. If you need to get around campus after class, the Nite Nole runs from 8:00 pm to 3:00 am Tuesday through Saturday during the fall and spring semesters.